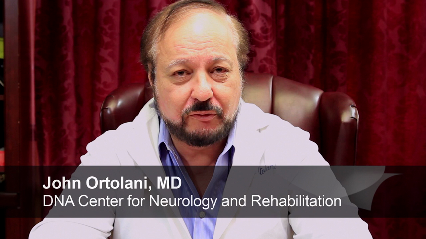 Welcome to dNA Center LLC office of John A Ortolani, M.D. We Specialize in Neurology and Pain Management. We treat MS, Seizures, Strokes, Alzheimer, Neck/Back Pain, Spasms, Restless Legs, Carpal Tunnel, Peripheral Neuropathay and Many Other Conditions. We offer Physical Therapy, Aquatic Therapy and Laser Therapy. We offer Electroencephalogram (EEG), Electromyography (EMG) and MRI for diagnostic purposes. We do not offer and DNA Testing despite our name. Come to our office. DNA Center LLC has been recognized as one of the top Daytona Beach Physical Therapy practices. Already a Patient: Use the Patient Portal To: Leave Messages for the Doctor. Find out when your next appointment is scheduled. Just Click the Link Below. Please download and print the patient forms below before your visit. If possible, please bring in the forms before your appointment date. Otherwise, please arrive early so we can input your information. Also bring any test results, xrays, or any other relevant records. American Society for Laser Medicine and Surgery,Inc.